1. "Ready or not, here I come... Oh, I guess you weren't ready." 3. 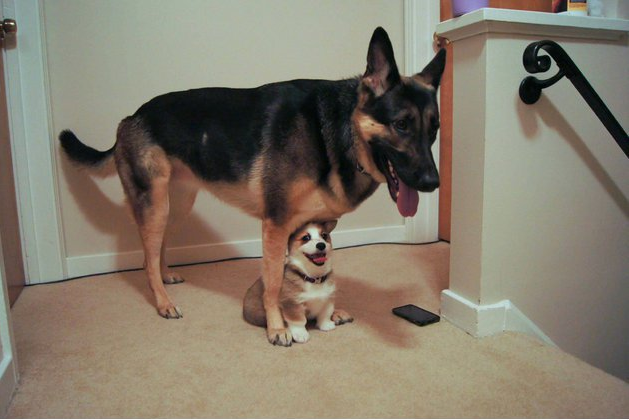 "Hey buddy, you didn't happen to see a puppy come through here recently?" 4. 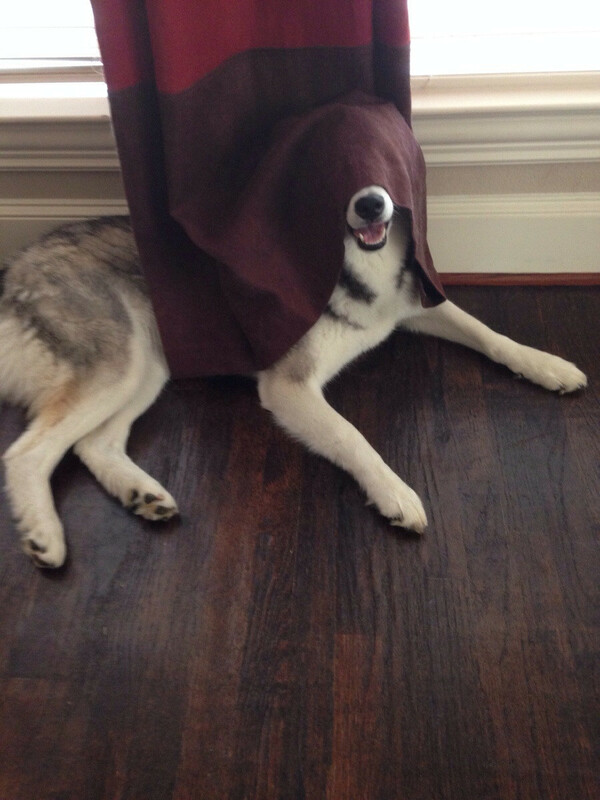 Rule number one of hiding: be silent and stay very still. 5. "Hmmm, doesn't look like there's anyone hiding in the bedroom..."
6. "Can you see me now, how about now?" 7. 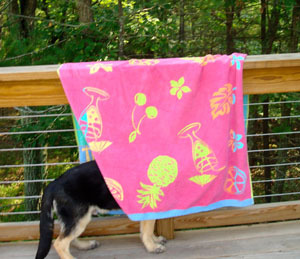 "Just because you can't see me, doesn't mean I can't see you!" 8. 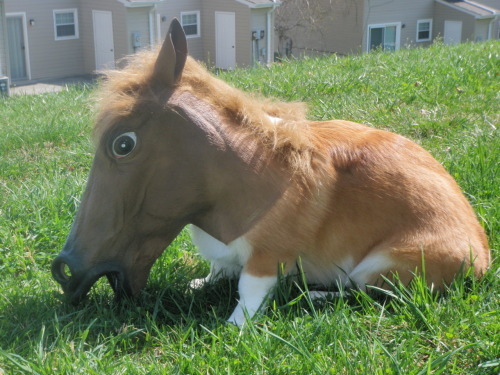 "Nothing to see here, just a mini horse grazing." 9. "I didn't remember this bed being so fluffy!" 10. "That upside-down dog bed is a little suspicious looking!" 11. 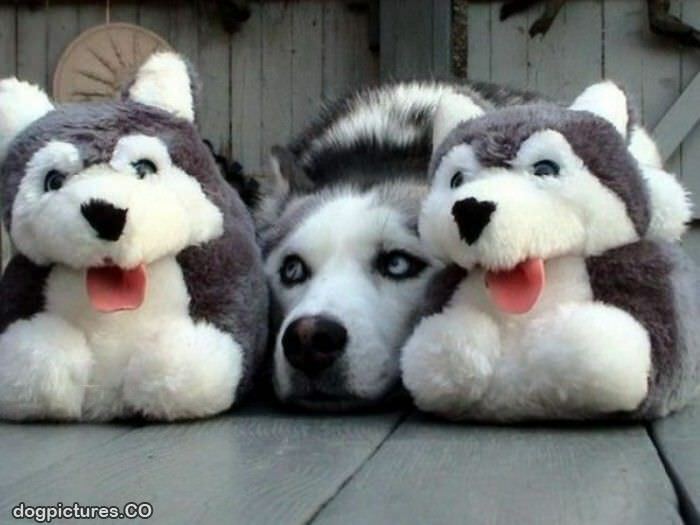 I think you're a little too husky to hide in there! 13. "What do you know! A couch with a tail!" 14. "Something is different about that one in the middle..."
15. "Okay I give up! You're practically invisible."